For all your rental equipment needs N Stuff Music is the best place to shop. We have a variety of all the necessary live sound gear to be sure that you can have great and effective sound for your next gig or event. Our customers will tell you that there’s no place better for rental selection, price, and customer service. 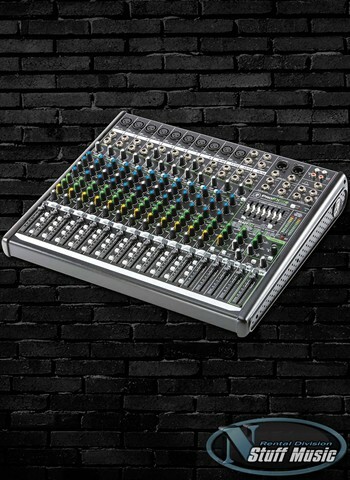 If you’re looking to rent a mixer for your next gig, corporate event, or performance, we’ve got you covered. 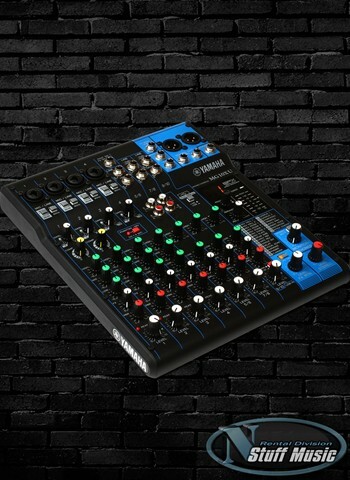 The type of mixer you need for your gig or event is dependent on the number of inputs you need for your mixer. If you’re running just a microphone or two into a couple of powered speakers for a corporate then something with just a couple of channels will be sufficient. 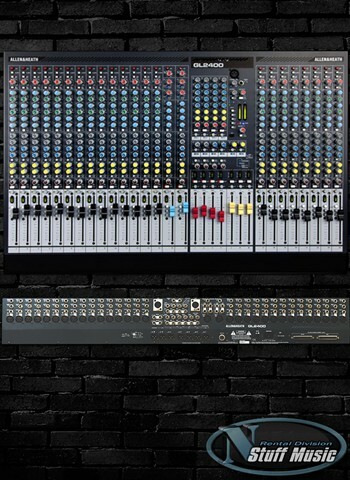 But for bands with singers, instruments going direct or being mic’d, a mixer with multiple channels will be necessary. 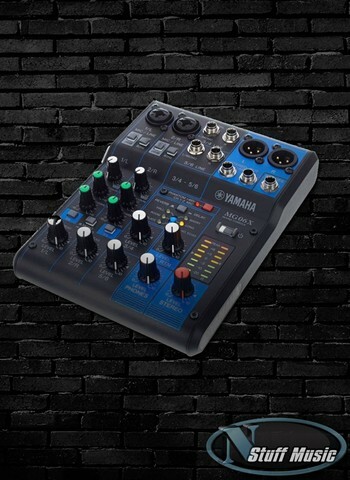 If you’re a professional sound engineer and you’re renting gear for an event you’ll be pleased to see a selection of different styles and brands of mixers available for rent. 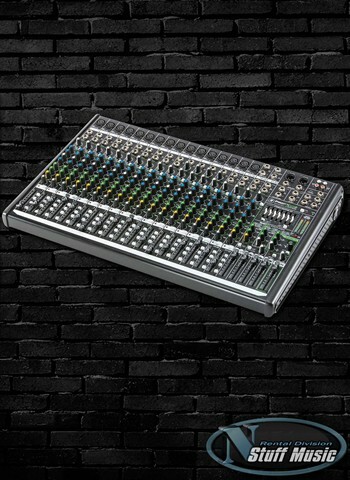 We have products available for rent such as the Allen & Heath 24-input live console, 16 and 22-channel Mackie mixers, and an assortment of Yamaha mixers (ranging from 6 to 16 inputs). 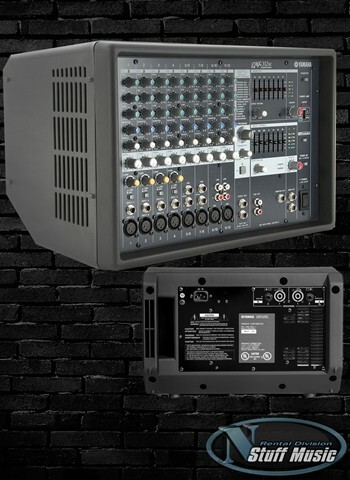 If you decide to rent one of our mixers and need other rental sound equipment we are glad to make any additions or changes you need to have all the necessary gear you need for your event. 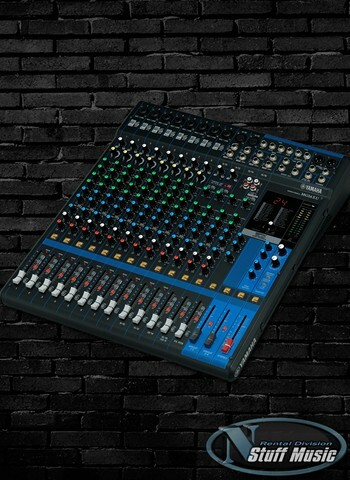 We understand that many of our interested rental customers may be new to the realm of live sound gear. But that’s okay! Just let us know what your situation is and we will assess your needs to find a quality package that will fit what you need without going over. Rentals are assessed on a case by case basis by our rental representatives. Loyal renters who exude respect and responsibility towards our equipment and policies will readily be rented to and have full access to our wide range of rental products and great prices.